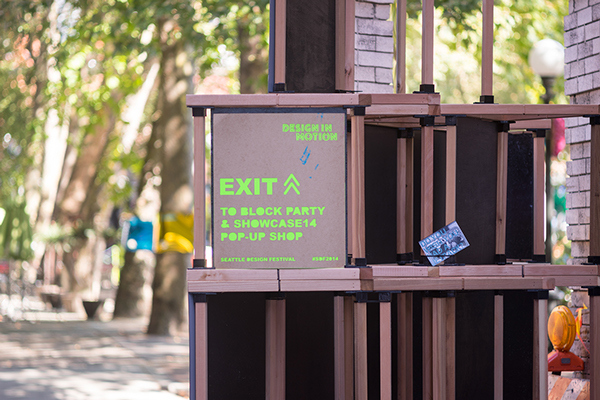 Noah led a group of designers to create an urban wayfinding solution, helping promote the Seattle Design Festival. 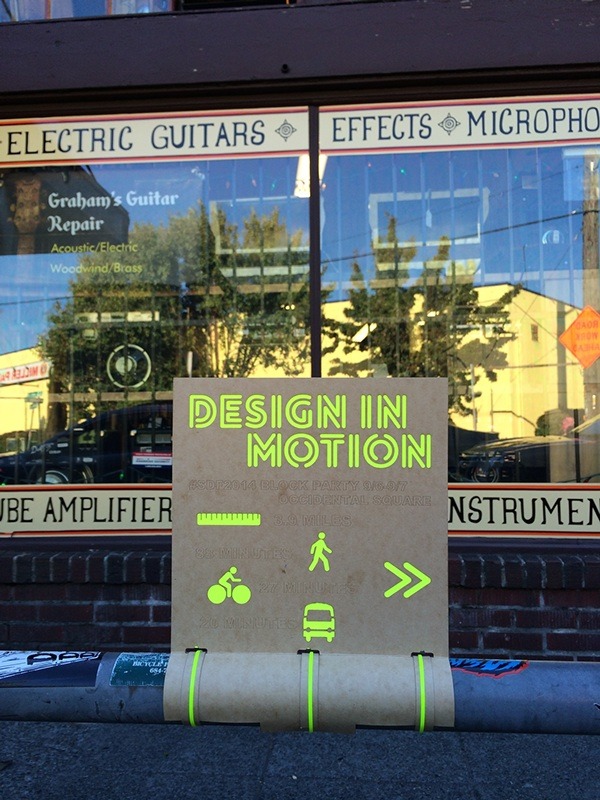 Utilizing existing city bicycle racks (under a city permit) and following the “Design in Motion” theme, small wayfinding pieces were created for several distinct neighborhood areas. On one side, a local neighborhood landmark was illustrated and a route was highlighted with a neon line. On the reverse side distance, pedestrian, cycling, and transit times to the location were subtly etched. 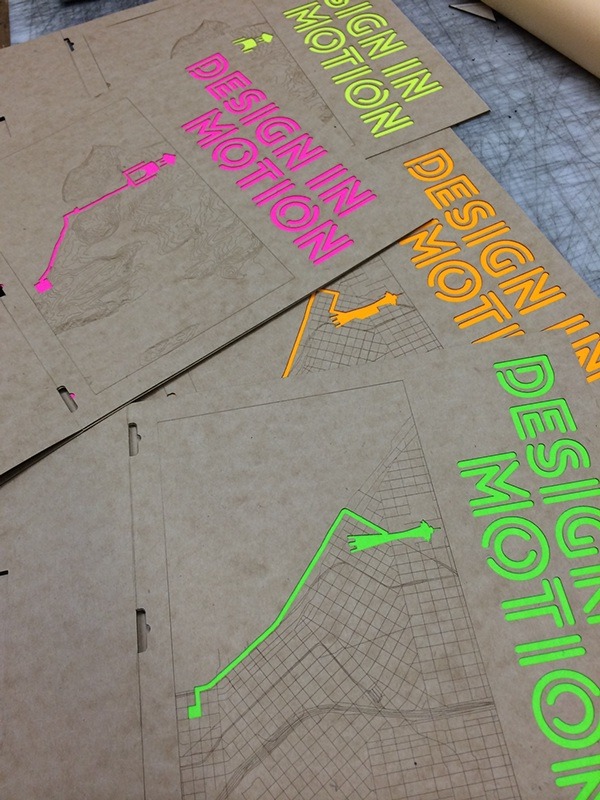 Oilboard was chosen for its durability and economics (the signs remained outdoors for 3-5 days), and lasercutting allowed an insert of bright neon paper. The finished piece was at home in the urban environment and reflected a citizen-driven design approach. 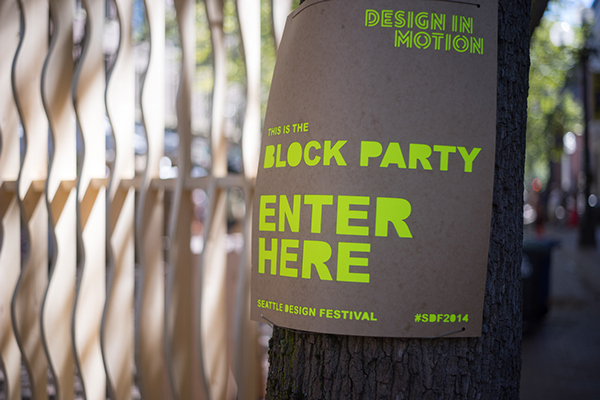 Additional on-site wayfinding was developed for the Seattle Design Festival 2014 Block Party. 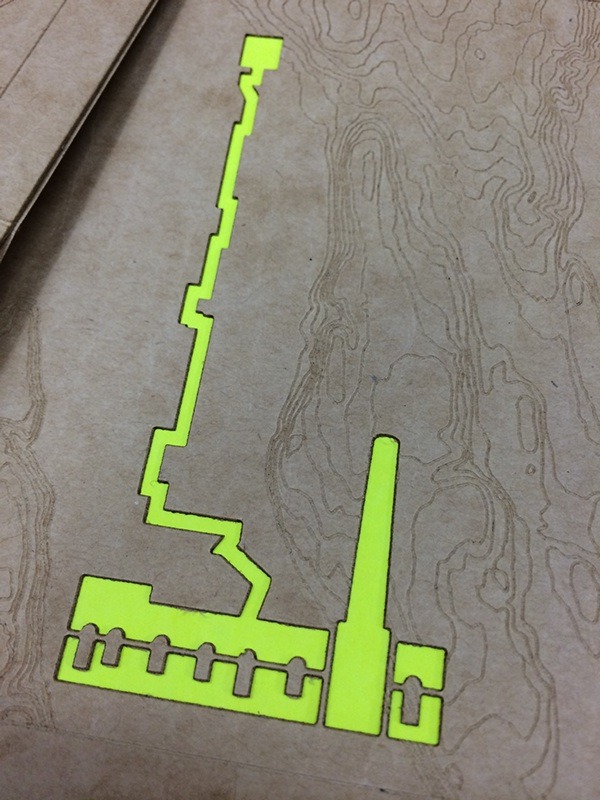 Large laser cut wayfinding signs were created to direct visitors to events happening in three locations. Again following the “Design in Motion” theme, pedestrian routes between event sites were highlighted with pedestrian travel time and distances. Signs were mounted to existing street furniture or event installations.